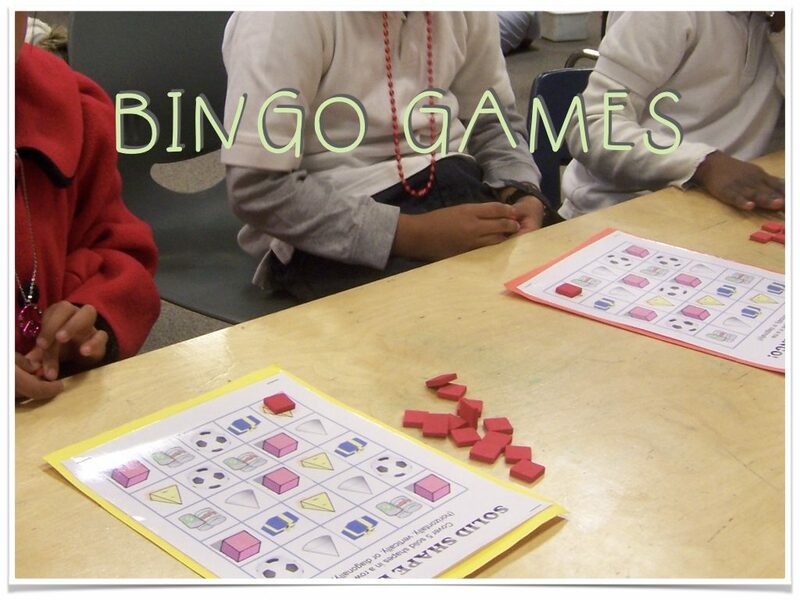 During grad school, my master’s project focused on math games and play-based learning. 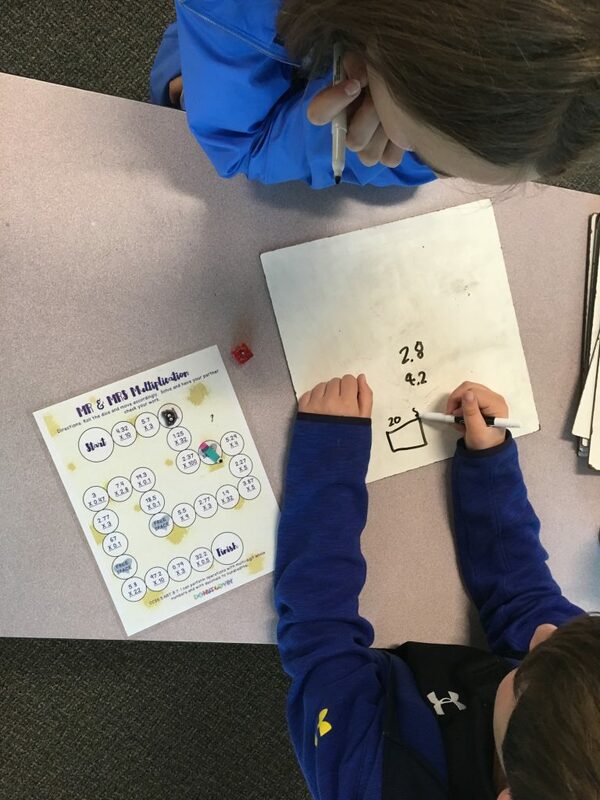 While working in a first grade classroom, I was able to implement a variety of games centered around math concepts that also incorporated literacy, language, and cooperation skills. I spent hours cutting, gluing, and laminating (though at the time I didn’t have a personal laminator). I remember taking the little cards I made into Staples or Lakeshore to have them laminated so they would last longer. I made board games where students must advance forward to win and card games based off of popular children’s games like Uno. 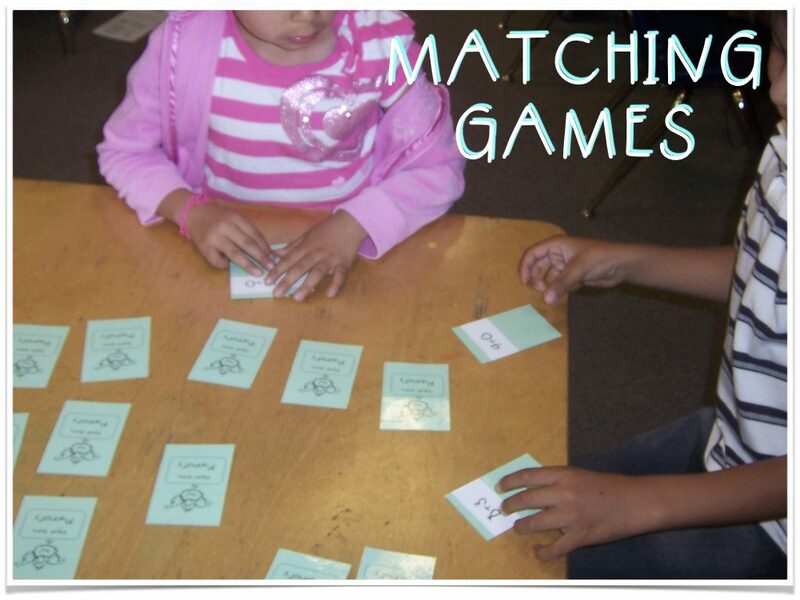 Though I found some shortcomings and social-emotional drawbacks to these games, I found that with the right amount of support and scaffolding, these games were much more effective than any other handout or practice we could have done because my students were more interested and motivated to play. 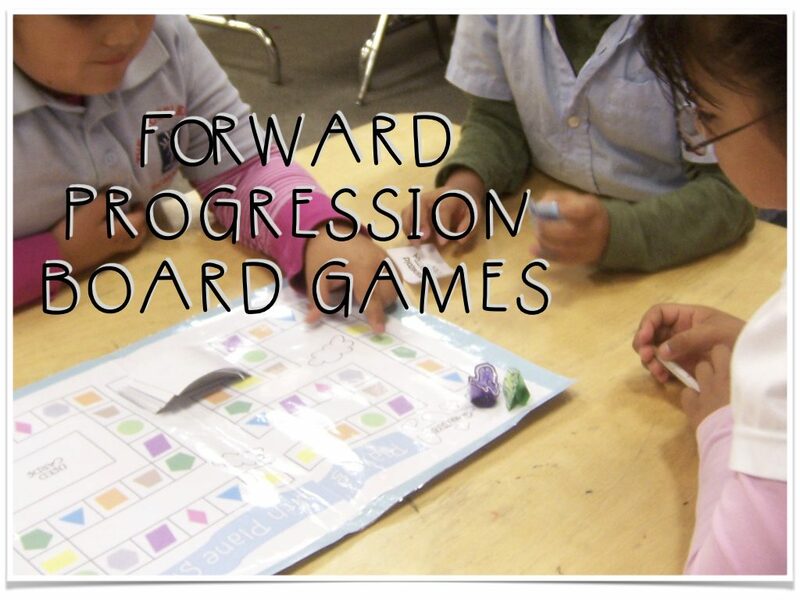 Flash forward eight years, and I’m still working to incorporate math games as an activity for my students to stay engaged in their learning. 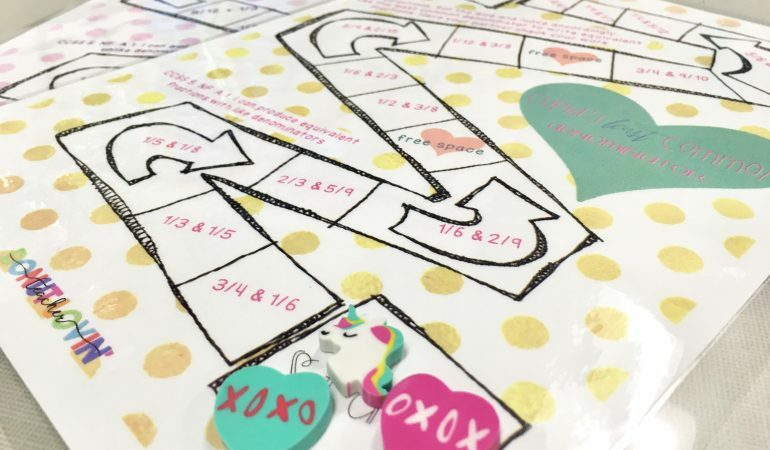 Last year I created a set of Valentine’s Day Math Games for my fifth graders to play, either in stations or as a whole class (depending on the day). I loved seeing the collaboration and accountability, and the overall math discourse I heard from my students was amazing. 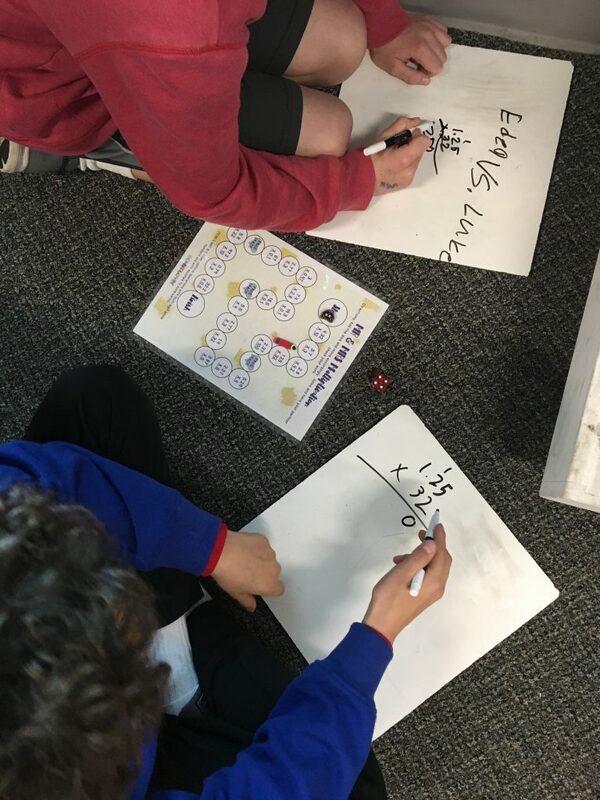 I watched my students implement different strategies we practiced throughout a chapter and I watched both players work to solve problems so they could check their opponent’s answers. My favorite part was when a mistake was made. It often resulted in a debate as to whether or not their opponent’s answer was even reasonable! I found that my students looked more critically at their work. Furthermore, when their thinking was more visible to me, it contributed to the formative assessment process, allowing me to understand what they had mastered and what I should continue to focus on with them. 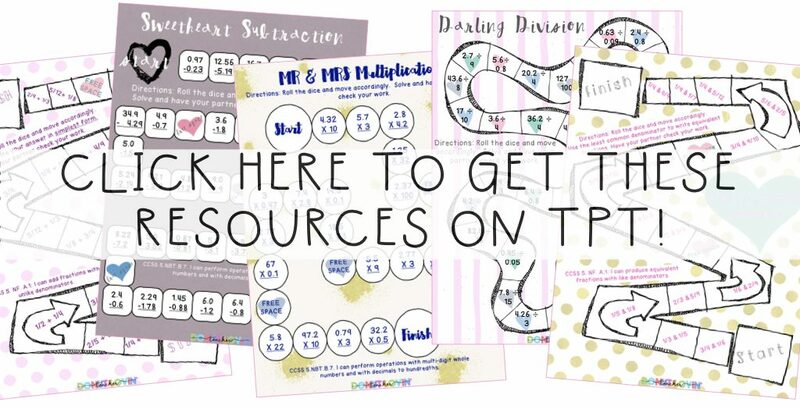 I made these Valentine’s Day Math Games specifically for my class to play and decided that I might as well share the fun! 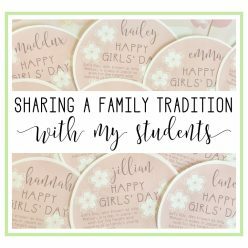 They’re easy to just print and laminate (or stick in a page protector) so your students can play right away! I also find that February is the perfect time to start reviewing because “testing season” is approaching in a couple of months and it is never too early to start practicing! Lastly, the icing on top of all of these benefits is that I haven’t found a BETTER use for my collection of Target Dollar Spot erasers! I hope you and your students enjoy these games just as much as my class!